Who is behind these terror threats to our Schools? Schools and parents across the UK were hit by panic today when an email was sent to dozens of schools from as far afield as Devon to Durham. The chilling message said: "If you try and evacuate them the driver will get out and shoot any student leaving. You have a choice here, you can ignore this email and risk the lives of the students you say you care for, or you can listen to what we are telling you. The only way out is to go out with a BANG". Police issued statements stating that they were working with the National Crime Agency and they are saying they believe the threats are a hoax. 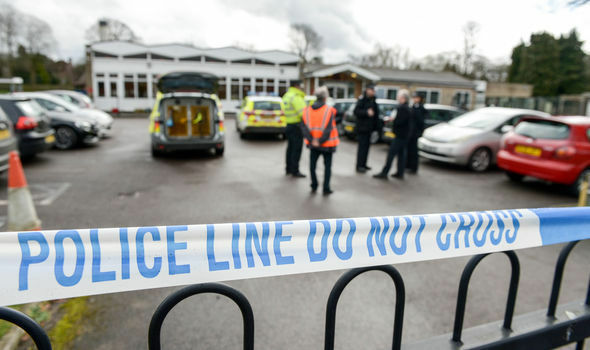 Today's turmoil comes just a week after schools across England were evacuated due to a series of bomb threats that were made after being told they would be detonated if a ransom was not paid. 24,000 emails were sent out and the police said that it was done after a dispute between 'minecraft gamers' from the USA. Today's threats appear to have been orchestrated in a way to cause maximum disruption and panic before the Easter break with the emails going to a variety of schools in different locations. The threat to also shoot school children if they left the school was especially chilling. There is still no definitive answer as to what exactly is happening but speculation is running wild. On Social Media some have suggested that this is the work of Russian hackers in revenge for the diplomatic spat over the Chemical Attacks or that it is the work of some sick and twisted individuals to cause terror and panic. The other option that hasn't been ruled out is that it is ISIS related or another extremist terrorist group. Some schools have actively started preparing for a full blown terrorist incident to take place. Like many events these days the real truth may not come out but we can say for certain it shows that the UK is currently ravaged with uncertainty and fear and doesn't look like improving anytime soon. Read: "Families left devastated because of this COWARD!"